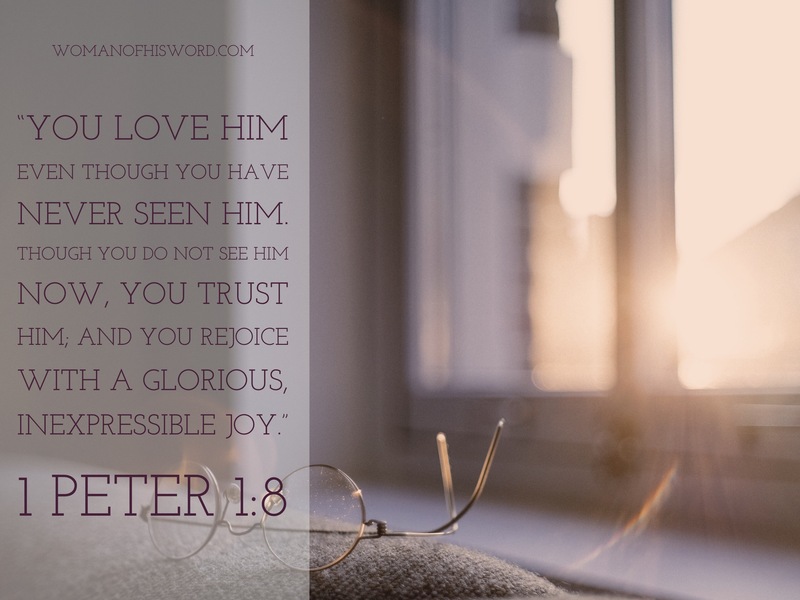 Heavenly Father, I do love and trust You. I don’t see You but I feel Your wondrous presence all around me, guiding me, protecting me and loving me. If ever that feeling goes away, it’s not because You have turned away from me but I have turned away from You. The love and warmth and radiance You provide to my soul is inexpressible. I pray for those who have yet to experience this feeling; I pray they would call out to You and You would fill them completely. Forgive me if I lose sight of You or don’t trust in You fully. Protect my soul and guide my heart so I will stay near to You, even in those seasons of doubt. Thank You for the wonderful gift of salvation and Your unfailing, inexpressible love!